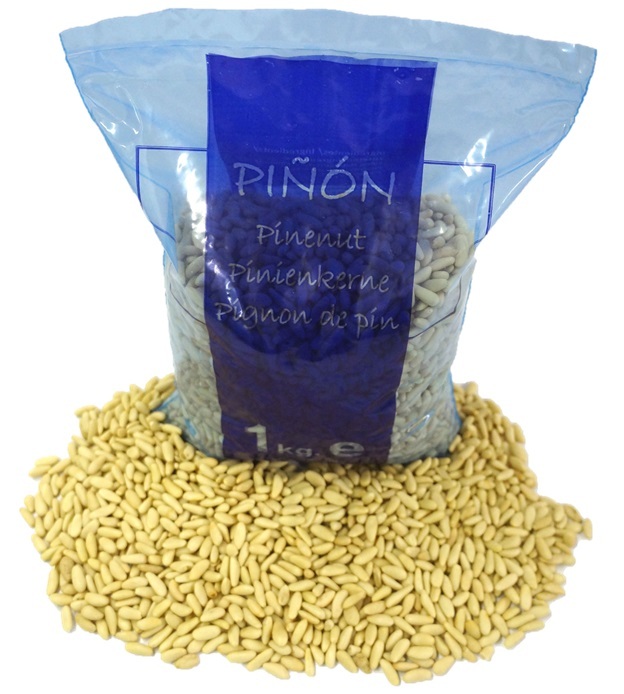 Spanish Piñón (Pine Nuts) from Castilla Leon, Just in Time for Pesto Season! Pine nuts, Pignoli, Piñón… Historical records of eating the fruit from pine cones date back to Ancient Rome, but we have likely been painstakingly harvesting the fruit from conifers since we became bipedal. Pine-nuts are the extraordinarily fragrant “nut” harvested from pine cones that are also, extraordinarily expensive. While all pine cone producing trees produce “nuts” there are only 18 species that produce an edible seed, these species are found in North America, Europe and in Asia. European pine-nuts are considered to be superior in flavor and texture to American and Asian pine-nuts, and less expensive Chinese pine-nuts have been linked to “pine-mouth” and actual, nasty condition that makes food taste metallic and bitter for a few days, to a few weeks (lesson: don’t skimp on pine nuts!) 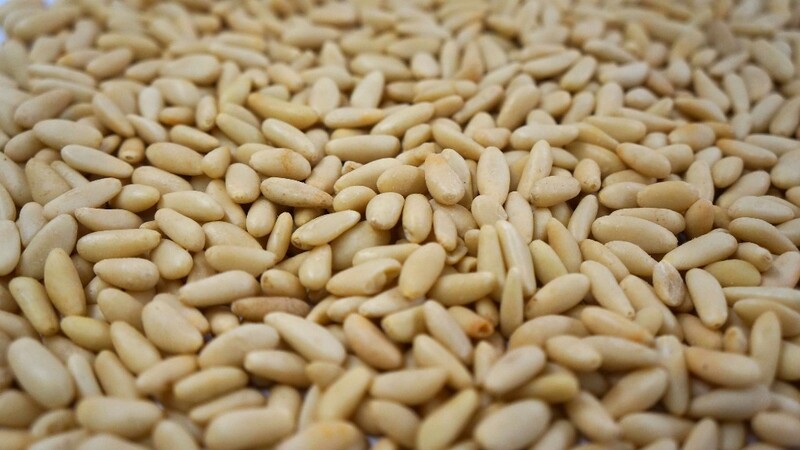 European pine-nuts are long and slender, with a texture that is creamy and rich and a subtle, aromatic flavor. We import Spanish Piñón from Teresa Mate, a family run operation that has been harvesting pine-nuts from the pine grove forests of “Tierra de Pinares” within the autonomous region of Castilla y León since 1970. Historically, the region of “Tierra de Pinares” was known for lumber and resin production. Through centuries of trial and error, the regions lumberjacks also learned the art of curing and harvesting Piñón from the Pinus Pinea trees that produce an especially large variety of piñón with a sweet and aromatic flavor. 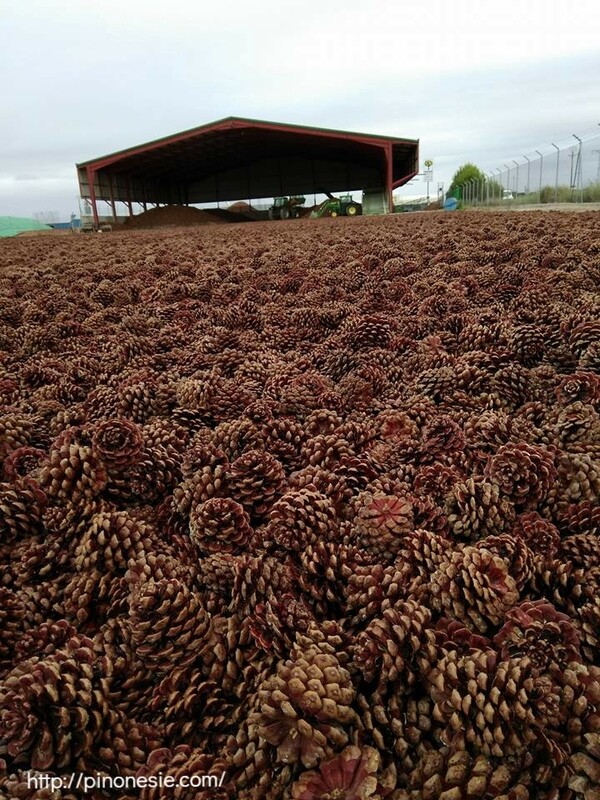 While it takes 18 months for most piñón to mature, at Teresa Mate, they wait a full three years to harvest the pine-cones so that they have a higher natural composition of the aromatic resins that give the nuts their sought-after aroma. Teresa Mate also naturally extracts the pine-nuts by allowing the cones to open naturally under the sun (pictured above) instead of baking or roasting the cones. The finished piñón are golden in color with an exquisite flavor. Teresa Mate’s Piñón are available in vacuum packed 1kg bags and are at your beck and call for fresh summer pestos and sweet pignoli cookies!